I love grilled cheese. Cheese, butter and bread...what's not to love? I also love Halloween. So why not combine the two? These grilled cheese sandwiches in the shape of pumpkins are easy, fun and delicious. They are just the thing to put you in the mood for Halloween! Below are all of the ingredients you will need to make the sandwiches. I would also add tomato soup to the list. I bought my tomato soup at Trader Joe's, but you can use any brand you fancy or make it from scratch if you want to be really fancy. Next, do the same with the cheese. I used two slices a piece to make in extra "cheesy". Assemble the cheese and bread and place sandwiches in a buttered non-stick pan. I also dab the bread with butter because you can never have too much butter! This will also give you a nice crisp crust. Cook sandwiches until they are golden brown on both sides and the cheese is melted and gooey. 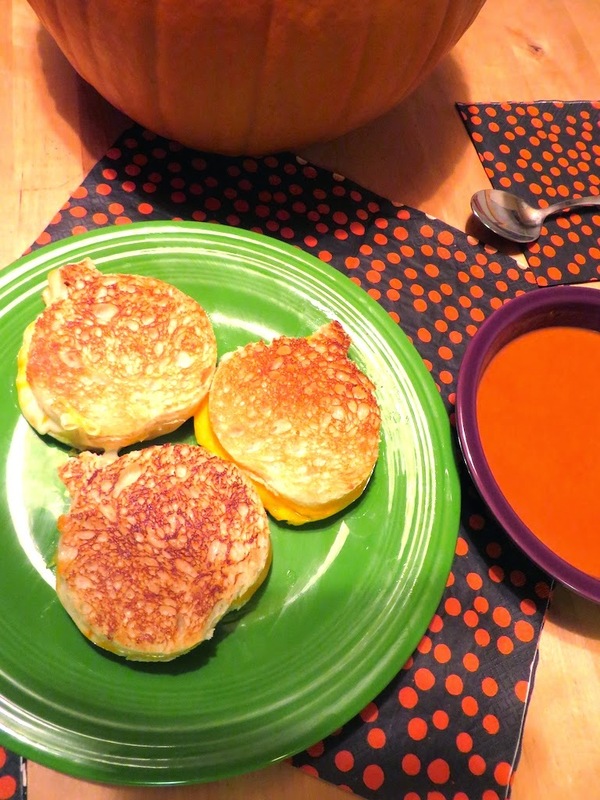 Serve the grilled cheese sandwich with tomato soup, festive napkins and a real pumpkin if so desired! 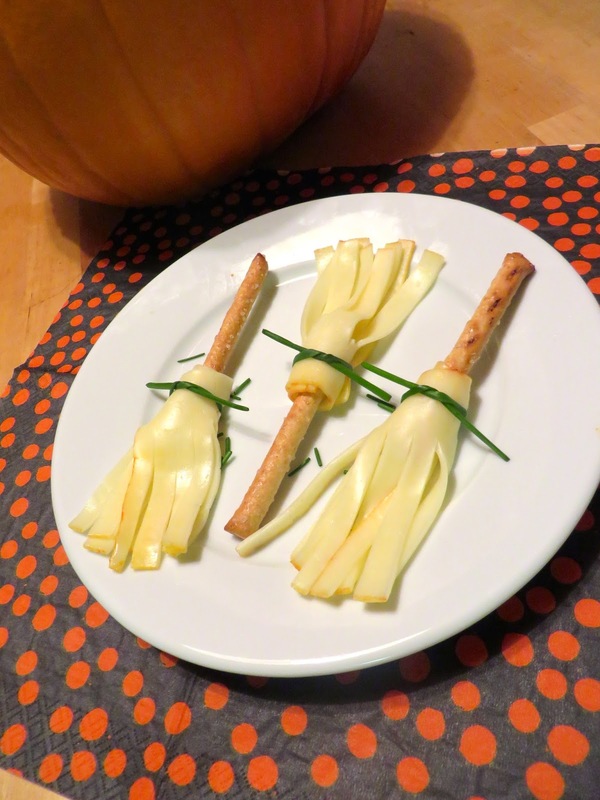 I also made these witches' brooms, which are made by taking a slice of cheese, cutting it into little fringed strips and then tying it to a pretzel stick with pieces of chive. The chive came from my backyard. Dipping the cheese brooms into the soup is also pretty tasty! Bon Appétit and Boo! What an adorable lunch or dinner idea! Love grilled cheese n tomato soup! Try this super simple n super good recipe for home made tomato soup! Thanks for the recipe! I'll have to check it out and give it a try!